Nimrat Kaur is the Cadbury girl, who is also known for her role in Lunchbox. 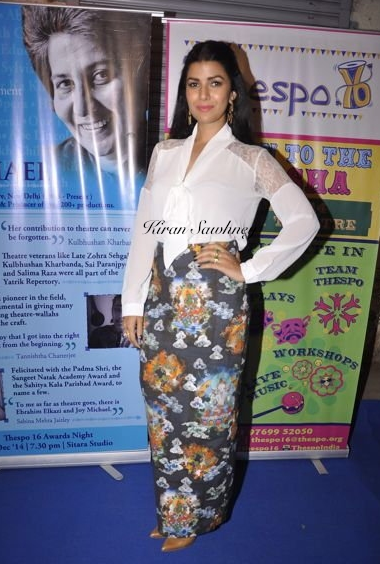 She was spotted at Thespo 16 Awards in Mumbai wearing skirt by Eshaa Amiin with white net blouse with a bow. She wore tan pointed toe shoes, black nail paint and some statement earrings and rings. The look felt very disconnected and imbalanced. We are not feeling it.